Is it ever right to ignore the moral failure of leaders, for the sake of political expediency? I first started writing this article about a year ago, to remember the 500th anniversary of the Reformation. It just seemed like a sobering but important message to consider, a year later. 16th century, Europe: Philip of Hesse, an influential political leader in Germany, was in a rather unhappy marriage. 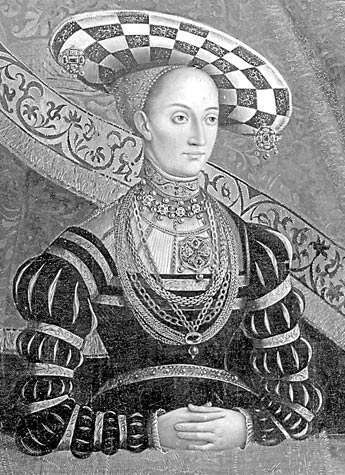 His first marriage to one Christine of Saxony, was a completely political arrangement, and Philip did not find her attractive. He soon lived a rather promiscuous life, to relieve him of his domestic stalemate with Christine. Philip was also a supporter of the Reformation, as articulated by Martin Luther. He suffered pangs of conscience, as he sought to reconcile a respect for the Bible, with his marital difficulties. So, in order to address his guilt and try to move forward, Philip sought the Wittenberg Reformer for advice. I, for my part, admit I can raise no objection if a man wishes to take several wives since Holy Scripture does not forbid this; but I should not like to see this example introduced amongst Christians. … It does not beseem Christians to seize greedily and for their own advantage on every thing to which their freedom gives them a right. (Martin Luther, Works). Though Luther was not endorsing polygamy, neither did he expressly forbid it. He did seem to allow bigamy under certain circumstances. For example, if the wife was unable to bear a child, then this might allow permission for the husband to take a second wife. This seems rather startling to modern Christians, who view polygamy as something only fundamentalist Mormons do. But Luther viewed procreation as one of the purposes of marriage. Given the high rate of infant mortality, and devastating impact of the “Black Death,” during the late Middle Ages, the ability to carry on a lineage to the next generation was not something to be taken for granted. So, if the wife was unable to conceive, then that could be ruled to be a legitimate exception, thus allowing one to take up another wife. Luther’s younger protege, Philip Melanchthon, and the Swiss Reformer of Strasbourg, Martin Bucer, held much to the same opinion. 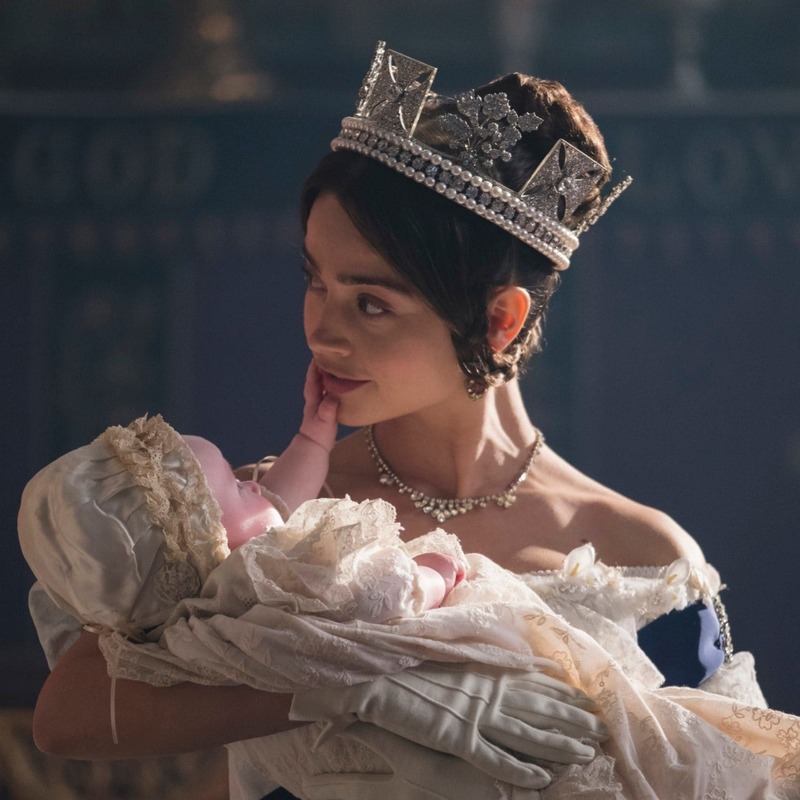 They supported the idea that King Henry VIII of England, could marry Anne Boleyn, while keeping Catherine of Aragon as his first wife, so that the King would be able to father a male child, and thus secure his family’s line for the throne of England. This was not ideal, but at least, it would keep Henry from breaking his marital vows with Catherine. Henry, was not content to keep his first wife, so he ignored the Reformers’ advice, and divorced Catherine, anyway. However, Philip of Hesse’s position was not as precarious, when it came to having children, for Philip had ten children by his despised Christine. It would seem that the Reformers would not be pushed to support Philip’s plans to secure a “legitimate” second wife. Philip of Hesse would try to push, anyway. Philip would not divorce Christine, as Henry VIII had done with Catherine. Instead, he proposed to marry a second woman, privately, but he intended to seek the support of the Reformers, despite any moral objections, that they may have had. Philip needed the sanction of the Reformers, to go through with his plans. Philip of Hesse had recently pushed through legislation to regard the death penalty as punishment for adultery. Having the blessing of the Reformers would give him a way personally around the very law he sought to enforce. But the Reformers needed Philip, too. Luther, Melanchthon, and Bucer were leaders of the magisterial Reformation, for they intended to carry out their reforms of the church, with the civil support of the magistrate, including Philip of Hesse. Without Philip’s support, as the secular ruler, it would have been very difficult to conceive how the Reformation might continue, without putting their own lives at further risk. The message was subtle, but clear. The Reformers could count on Philip of Hesse’s support, if they would but grant their approval of Philip’s bigamist intentions. If the Reformers failed to support Philip of Hesse, Philip would turn to the Pope and the Emperor for support instead. Luther, Melanchthon, and Bucer were in a bind. This was no mere theological posturing. This was a life and death matter. Thousands had already died, due to the turmoil of the Reformation. The Pope was working the political levers of medieval Europe, urging Charles V, the Holy Roman Emperor, to crush the Reformation, with force, if necessary. 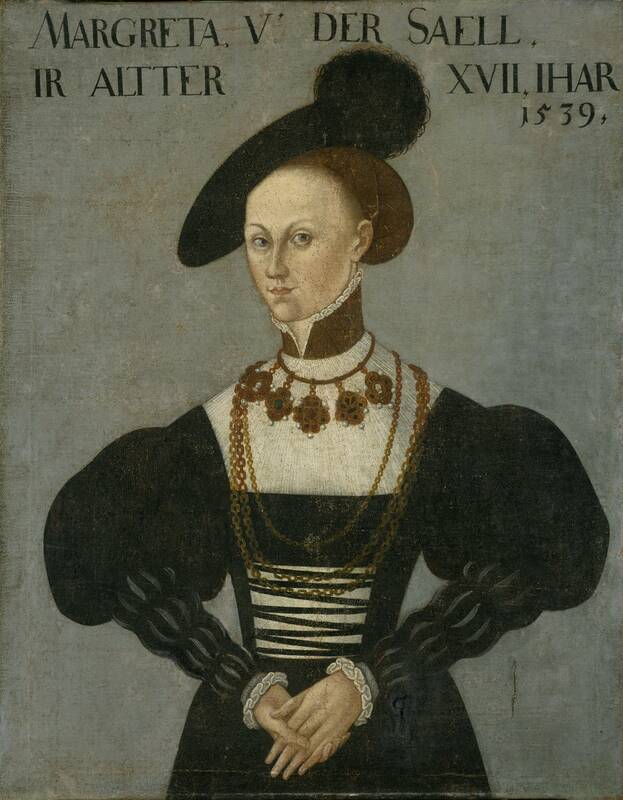 Margarethe von der Saale (1522-1566), Wife #2 of Philip of Hesse (credit: Wikipedia). The medieval church had become woefully corrupt. The sale of indulgences had made a mockery of the Christian Gospel, encouraging the gullible to hand over large sums of money to a greedy clerical aristocracy. The Reformers knew that something had to be done. 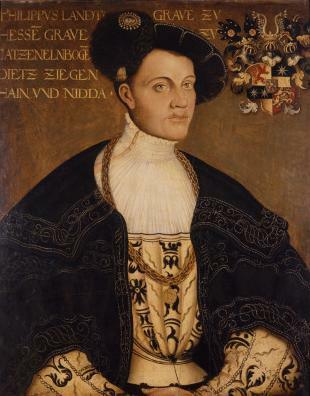 If the Reformers would grant their support to Philip’s bigamy, this would secure them the support needed to make Germany a fully Protestant, governed entity. If they refused to stand by Philip of Hesse, the Pope and the Emperor would move against the fledgling Protestant movement. So, if they would but overlook this one moral failure of Philip of Hesse, this pivotal political leader, it would set Germany on the right course for the future, and make Germany a truly Christian nation. Philip of Hesse met privately to secure the support of Martin Bucer and Philip Melanchthon. Bucer and Melanchthon, seeing this as an opportunity to push forward with their reforms, granted a permissive level of support. But they wished that the whole matter be settled cautiously and quietly. Yet unbeknownst to Bucer and Melanchthon, Philip of Hesse had already previously selected his new wife, and they married with Bucer and Melanchthon as onlookers. Bucer and Melanchthon were blindsided and stunned. Philip had dangled the prospect of power and influence, all for a good cause, mind you, in front of Bucer and Melancthon, and the Reformers had taken the bait. But matters soon got out of Philip’s control. The news was leaked and spread among the royal court, and the Reformers’ and Philip’s actions were exposed. The scandal rocked all of Europe. Luther distanced himself from the entire affair, claiming that his conversations with Philip of Hesse were held in the confessional, and that he never counseled his direct approval of Philip’s bigamy. 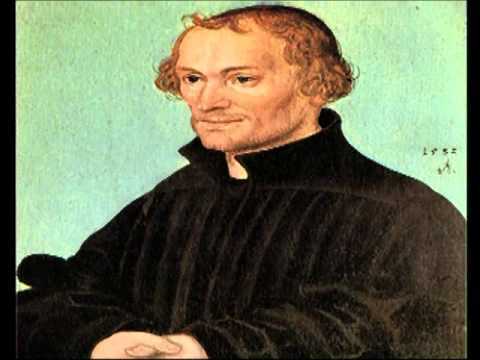 Melanchthon was so scandalized that he physically became ill. 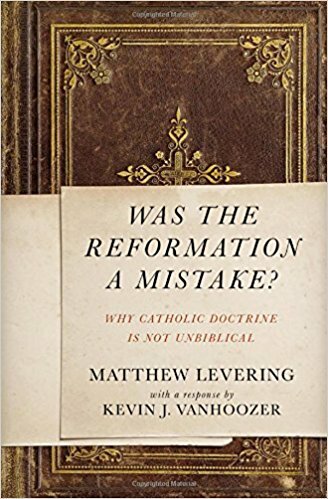 The Roman Catholic opponents of the Reformation pounced on Luther, Bucer, and Melanchthon as undermining Christian values. It would appear that the efforts of the magisterial Reformers, that took the path of political expediency, had backfired. By appearing to endorse Philip of Hesse’s bigamy, the leaders of the Protestant Reformation had lost some of their moral high ground in their efforts to build a “Christian” Europe. In the end, the results of the whole debacle were mixed. Philip of Hesse got what he wanted, with his bigamous approach to marriage, and kept on supporting the Protestant movement within Germany. But his posture as a Protestant leader was weakened, due to his moral difficulties, and he was forced to try to find a compromise between the Roman Catholic and Protestant Reform movements. A peaceful resolution to the conflict proved to be elusive, and Philip of Hesse suffered defeat, along with other German princes, in the Schmalkaldic War, against the Emperor, Charles V.
For their participation in Philip of Hesse’s marital failure, the Reformers themselves, Luther, Bucer, and Melanchthon, suffered at least some loss of prestige throughout Europe. Surely, it helped to set many traditional Roman Catholics, who were at once on the fence about the Reformation, against the efforts of the magisterial Reformation. It is difficult to assess how much the bigamy controversy compromised the magisterial Reformation, in the long run, but I can not imagine it helping the situation either. The following centuries, with “Wars of Religion” dividing Protestant and Roman Catholic throughout Europe, showed that the intertwining of theological with political concerns, in late medieval and early modern Europe, would become an extremely bloody affair, leaving a distaste for Christian theological controversy, in Europe, even down to the present day. What Happens When A Believer in Jesus Dies? 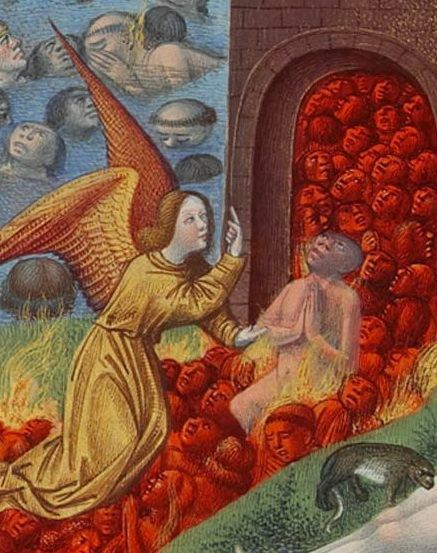 Medieval depiction of purgatory, Très Riches Heures du Duc de Berry (credit: Wikipedia). What happens when you die? That is a good question. In the history of the church, the concept of purgatory looms large. But purgatory has had a bad rap with (most) Protestant Evangelical Christians, ever since Martin Luther made his famous protest in the 16th century, against indulgences. Purgatory is a doctrine that tries to explain what happens during the so-called intermediate state, and it captivated the mind of the Western medieval church, and still remains official Roman Catholic church teaching today. Like (most) Protestants, the Eastern Orthodox also reject the Roman Catholic legalistic framework of purgatory, but they agree with the ancient practice of prayers for the dead, admitting to some ambiguity on the question, more than what most Protestants will tolerate. I include the caveat of “most” Protestants rejecting purgatory, as there have been notable exceptions in the minority. The influential 20th century apologist C.S. Lewis was known to be drawn to the doctrine. 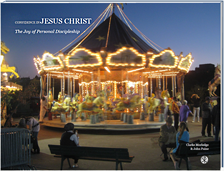 In the early 21st century, Protestant theologian Jerry Walls has written extensively defending what he believes to be a “biblical” view of purgatory. Then there are the views of Charles Augustus Briggs, a late 19th century American Presbyterian theologian, whom we will focus on in this blog article, who raises some interesting questions, suggesting some form of purgatory, though not exactly like what Roman Catholicism teaches. So, what is purgatory, generally speaking? Purgatory is not hell, but neither is it exactly heaven. It is more like a preparatory stage before a believer can enter heaven. The lingering effects of sin, after death, must be “purged” before a believer fully and finally enters the presence of God. The Protestant Reformation rejected the medieval, Western Christian view of purgatory, largely because the Scriptural support for it was found to be lacking. Purgatory owed more to the accumulation of Western tradition than it did to solid exposition of the Bible. Just ask any informed Protestant Christian. Is Roman Catholic doctrine “not unbiblical?” Have you ever thought of that? The late, beloved Bible teacher, R. C. Sproul was a champion of Martin Luther’s reformation. Sproul died in the year marking the 500th anniversary of Luther’s defiance of the medieval church. But was Luther’s reformation, back in 1517, simply all one huge mistake? More than anyone else in recent times, R. C. Sproul sounded a call to the church of the late 20th and 21st centuries, to reaffirm the message of Martin Luther. Sola Scriptura, the authority of Scripture, and Scripture alone, must be the watchword of a truly godly church. Many Christians, unfamiliar with the history of the church, have largely forgotten what Luther was all about. Others have heard Sproul’s clarion call, and seek to continue the work of the Reformation, for yet a new generation. At the same time, there are defenders of Rome, who believe that this renewed enthusiasm for Luther, while well intentioned, is unfortunately misplaced. On a road trip over Christmas, to visit family in the American Midwest, I listened to an audiobook, that inspired me to write the following book review (SPOILER ALERT: this review is in-depth, as the subject matter itself is pretty deep). 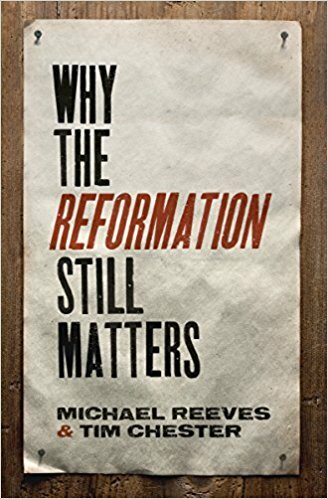 But first, let me give you some background, and why the idea of the Reformation as a “mistake,” is actually a very good topic to consider.